Whether you’re producing flyers, keg collars or wristbands, implementing a great events marketing strategy is key to ensuring your event in Vancouver is a success on all fronts. Event marketing products are now easier and cheaper to produce than ever before, and are the perfect way to connect your customers with your nightclub, conference center, or festival both before, during, and after your event has taken place. Made of durable, lightweight material, our tear-resistant wristbands are a proven way to drive client engagement and build up strong consumer-brand bonds. Here, we take an in-depth look at wristband printing, so read on to see our review of five cost-effective wristband materials. All our same-day wristbands are made from a highly water-resistant synthetic material, and can be trusted to handle a high level of wear and tear. 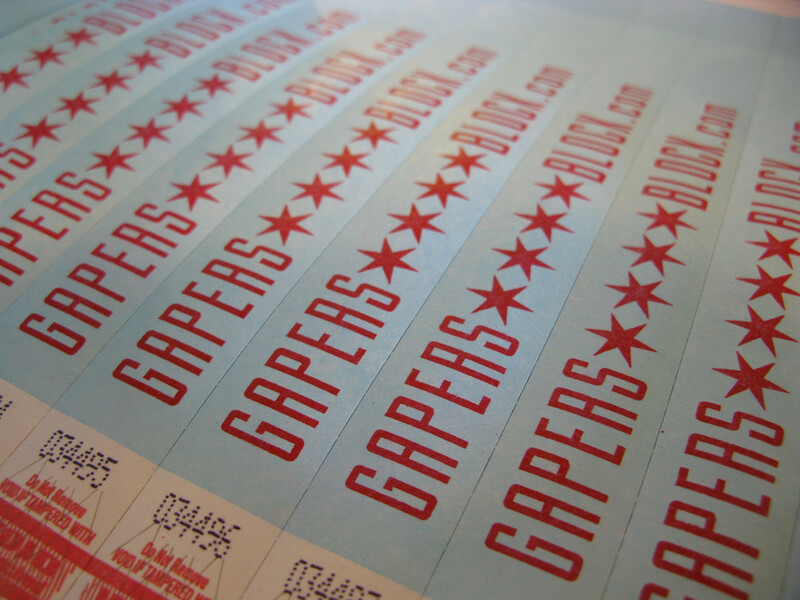 Same day printing is the perfect option for clients who need to produce large amounts of quality wristbands in a rush. When time is of the essence, the last thing you want to do is waste precious time worrying about product quality or design. With today’s technology and materials, we can accommodate your last-minute printing requests and help ensure your Vancouver event goes off without a hitch; all while keeping your budget intact. Choose between a number of printing options, including single colour, black and white, and full colour depending on your event size and style. 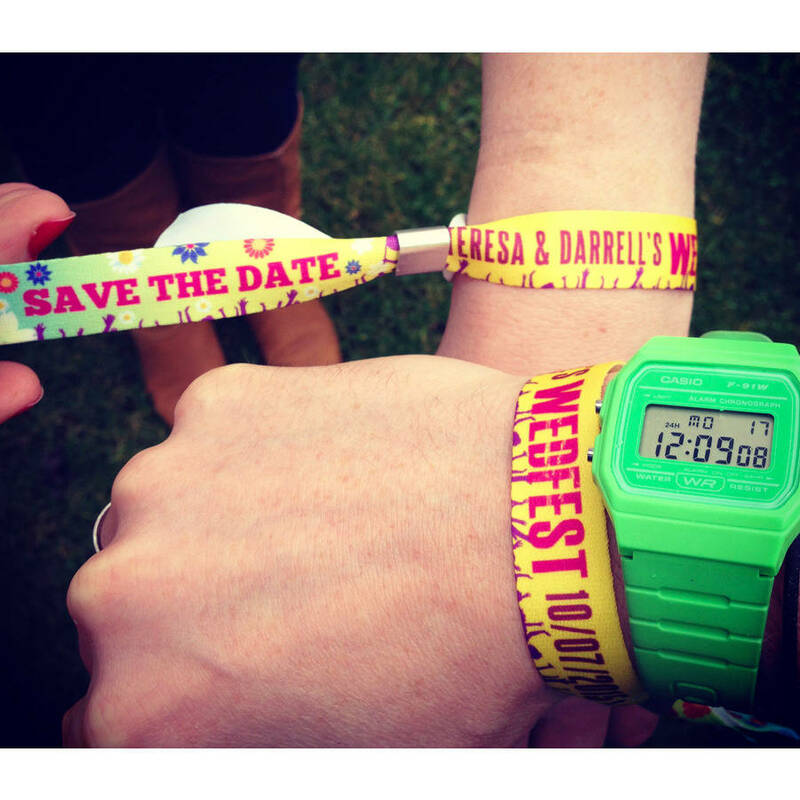 Whether you’re hosting an intimate gathering, a concert, or a much-awaited festival, same-day wristband printing is a great last-minute marketing option for those in a time crunch. 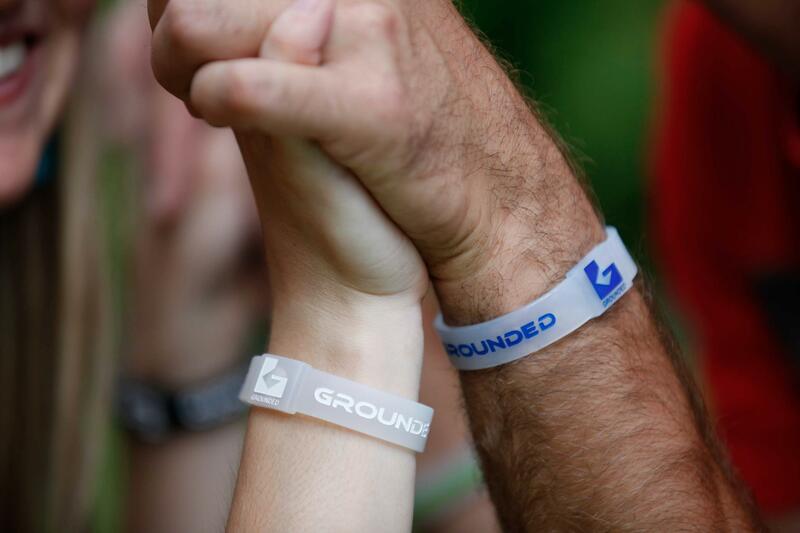 Click here to find out more about our same-day wristband printing services. Whether you’re hosting an annual event, a concert or a sports event, Tyvek stock represents the ideal same-day wristband printing solution. 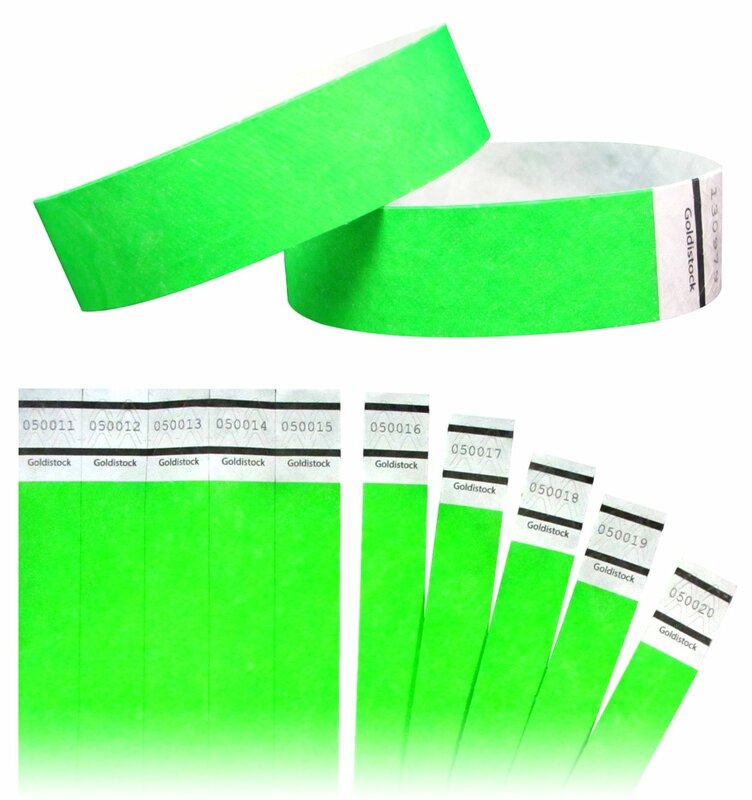 Tyvek wristbands are available in dozens of differents colours and standard designs, and feature unique numbering. 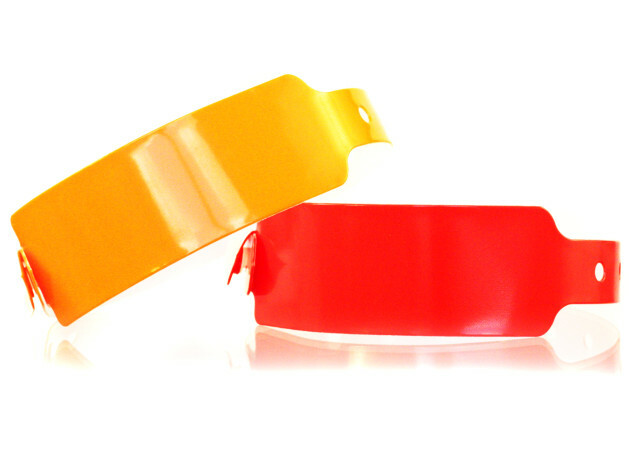 Tyvek wristbands are available in many colours ranging from neon red to white, and come in two different widths to accommodate events of all types. We also offer a number of different finishes and standard designs to cater to all your design marketing needs. 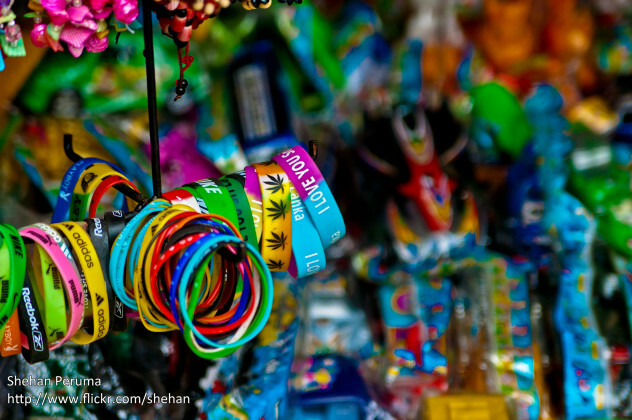 For additional security and brand promotion opportunities, you may want to consider printing full-colour custom wristbands. These custom print wristbands can be easily cut or to include tamper-proof closures and other security measures to prevent wristband swapping or reuse. 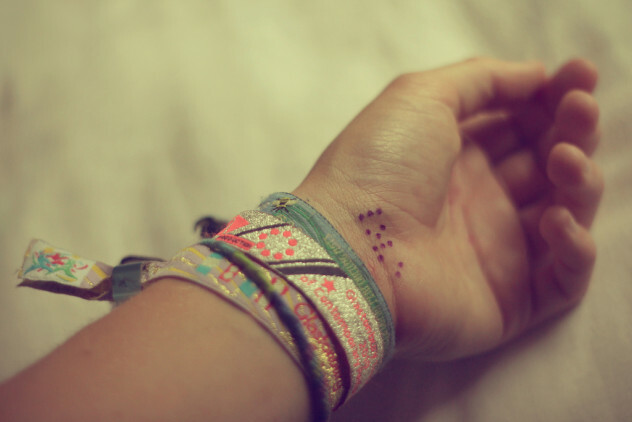 Keep on reading below for more information on wristband printing and same-day wristband printing solutions. Textile wristbands represent one of the best ways to promote your brand, and remain one of the most unique and eye-catching of all wristband materials. 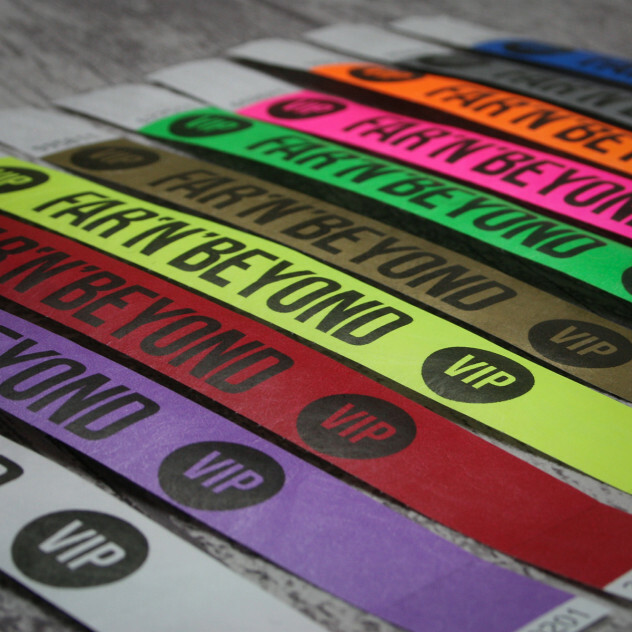 In addition to being hard to replicate, cloth wristbands are fitted with a one-touch closing mechanism and are designed to be applied just once, making them a great option for events requiring additional security. Textile wristbands are also extremely tear and stretch-resistant, and represent the ideal wristband printing solution for those hosting multiple-day outdoor productions such as music festivals or sports events. For exclusive small-scale events in Vancouver such as intimate concerts or high-end private bashes, you may want to consider woven cloth wristbands. With these custom wristbands, your company logo or original artwork can be woven directly into your event pass, making it virtually impossible to replicate or falsify. Moreover, full-colour printed cloth wristbands can be customized to display your logo or brand design using cutting-edge dye sublimation technology. With custom cloth wristbands, you’ll be able to wow your potential customers and make them feel special; all while keeping your costs in check. As is always the case with wristband printing, the best results are obtained through choice selection of medium color, technique, and message. Vinyl wristbands are the ideal wristband printing option for those hosting large-scale multiple-day outdoor events in Vancouver. Vinyl stock wristbands are completely waterproof, highly durable, and boast a comfortable feel, all of which is of paramount importance for a long-term event pass. In addition, vinyl wristbands are designed to accommodate wrists of all sizes, and can be adjusted to fit every individual by way of an inbuilt cap closure mechanism. These custom printed wristbands are ideal for events featuring VIP sections, backstage passes, or drink specials, and can be used to classify ticket types in a structured and cost-effective way. For similar results on a lower budget, we recommend plastic stock wristbands. 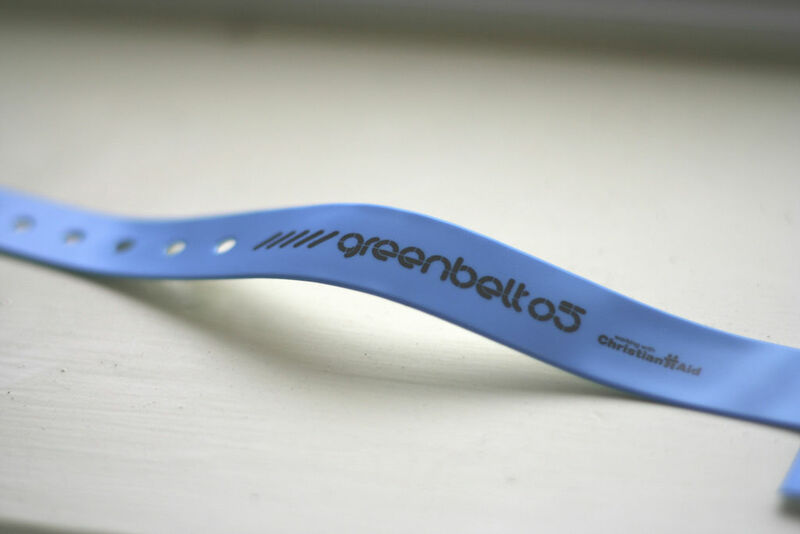 Despite being the cheapest wristband printing material in the industry, plastic passes represent great value for money and can be printed in multicolour and simple colour, they also include a simple-to-use one-time lock mechanism that ensures that your wristband will remain firmly in place throughout the course of the event. Silicone wristbands are a great option for fundraisers, public awareness campaigns, and a range of private marketing events. Also known as gel bracelets, silicone custom wristbands have the unique quality of being able to be used long after an event has ended. As one study shows, 82% of consumers who receive a branded promotional item will retain the advertiser’s name, while a further 62% are likely to do business with the brand. Get the biggest bang for your buck by making sure your silicone custom wristbands display unique messages (including custom-designed artwork, a unique logo, or original text). These fully customizable wristbands represent the pinnacle of wristband printing, and are a proven way to promote customer brand interaction. Silicone wristbands come in two different sizes, a range of colours, and can be printed on in full colour. 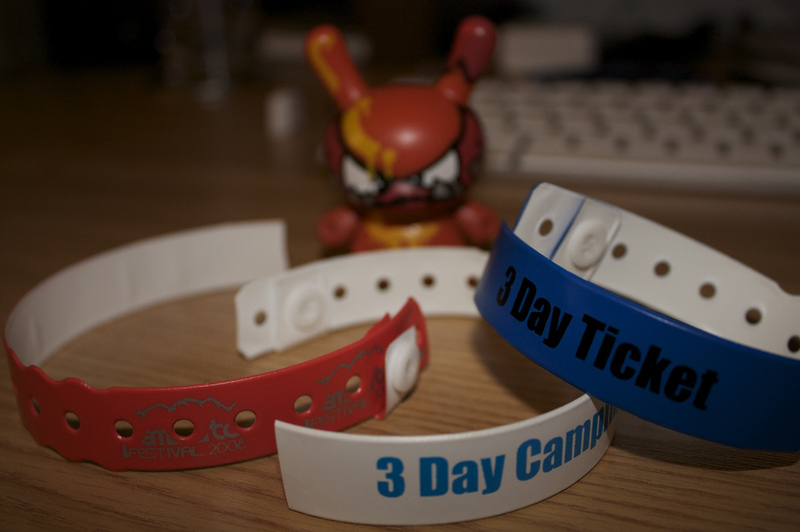 With turnaround times as low as five days, you’ll have your wristbands ready well before your event start time.